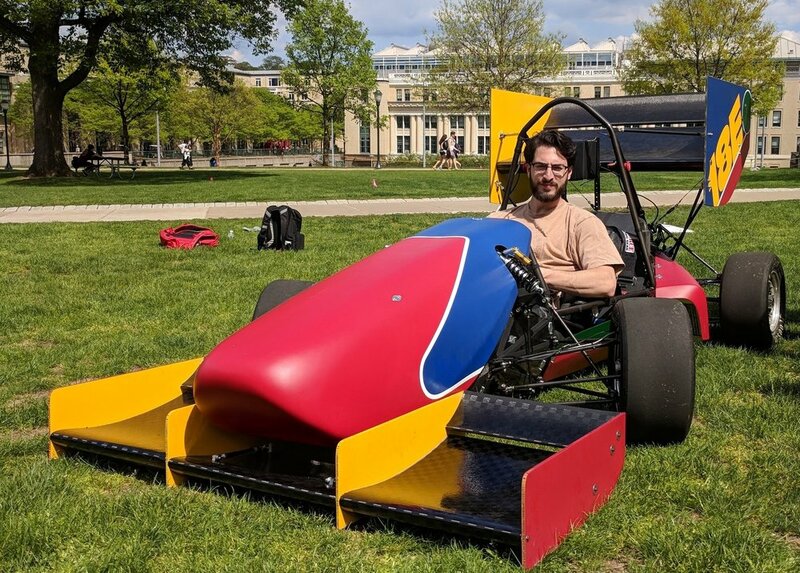 Every year, Carnegie Mellon Racing (CMR) designs and builds a new electric race car to compete in Formula SAE, an intercollegiate racing series. As the first Head of Design, I was responsible for leading the design team in all of its endeavors. The Design Team designs each car's bodywork and paint, and creates CMR's brand. Each car is the product of a dedicated team of students and support from sponsors. Our most recent car, 18e, placed first overall in the electric division at Formula North and at Formula SAE Lincoln, establishing CMR as the top electric racing team of North America in 2018. 15e won first place in the design finals at the 2015 Formula Hybrid Competition, placed second overall, and won the IEEE Excellence in Electric Vehicle Engineering Award. 15e is CMR's second electric race car. 16e represents a new, modular approach to FSAE body design, intended to ease manufacturing and installation. With a body designed by Vivian Qiu, 17e retains the modular approach of its predecessor. 18e is the top electric FSAE car in North America, placing first overall at Formula SAE Lincoln and Formula North. Reusing the previous year's molds, 18e is all about refinement. The design team focused on branding and livery, and updated the body with a new radiator shroud, while CMR's engineers improved the aero package. The design process always begins with hand sketching, based on templates of the chassis design. Working within the tight constraints of FSAE regulations, our goal is to make a strong visual statement that supports our brand. We use clay models to flesh out our ideas, and to aid the design team in critical discussion. The clay models are built on an acrylic frame that represents the dimensions of the chassis at 1/10th scale. To finalize the vehicle's exterior design, we create a surface model in SolidWorks. By building the body panels in the team's collaborative assembly, we can ensure proper fitment with the chassis and clearance of components. The CAD model was used to cut full-sized foam molds with a CNC router. The molds were glued together and hand sanded before being painted and finished with gel coat and mold release wax. By laying fiberglass over the foam molds, we created our female molds. The body panels themselves were created by laying carbon fiber into the fiberglass molds, which were then vacuum bagged and cured in an oven. After releasing the panels from the fiberglass molds, we sent the body to PPG to be finished and painted with its distinctive hand-painted shark mouth. The final step was to apply the sponsor stickers and trim the panels for mounting.